Sanctions imposed by former President Obama on Russia for hacking during the U.S. election had an unintended side effect: they essentially barred U.S. tech firms from selling new IT products in the country. Part of last month's sanction order was designed to block U.S. companies from doing business with Russia’s Federal Security Service, also known as the FSB, because of its suspected role in influencing last year’s election. But the FSB isn’t just an intelligence agency. It’s also a crucial regulator in Russia that clears new IT products, including smartphones and tablets, for sale in the country. 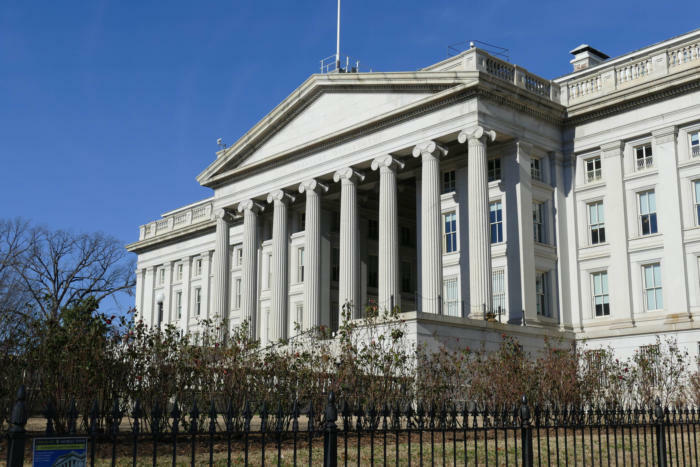 Following the sanctions, tech firms flooded the U.S. Treasury Department with inquiries, according to a senior official with the agency. And so on Thursday, the Treasury Department basically tweaked the sanction order, so that U.S. tech firms can now interact with the FSB to clear their products. News of the change immediately sparked questions over whether the new Trump administration had eased sanctions on Russia. However, the Treasury Department began considering the tweak during the Obama administration, according to the senior official. The U.S. Department of the Treasury building in Washington, D.C., on December 19, 2016. The change means that U.S. tech firms can now interact with the FSB to pay for permits or issue notifications that do not exceed $5,000 in a calendar year. According to legal experts, FSB approval is needed for imports of encryption technology, which can be found in many IT products. For instance, companies must receive an FSB granted permit in order to distribute enterprise applications with encryption, said Janet Kim, a lawyer with Baker and McKenzie, whose firm was working on behalf of U.S. tech firms to amend the sanction order. She said that Obama's sanction order had sparked “concern” from the U.S. tech industry that it wouldn’t be able to distribute new products in Russia, including mass market devices. To sell a smartphone -- which also uses encryption -- a U.S. tech firm must send a notification to the FSB, Kim said. On Thursday, White House Press Secretary Sean Spicer said the U.S. was “not easing sanctions” against Russia. He called it a common practice for the Treasury Department to issue “carve outs” for certain products or industries, after a sanction order is placed. Nevertheless, some are politicizing the matter. “Russia attacked our democracy. It should be punished. Instead, President Trump is easing sanctions against its team of hackers, the FSB," said U.S. Rep. Eric Swalwell, a democrat from California, in a statement.